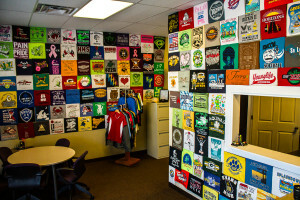 D&M Graphics utilizes the newest technology in the Screen Printing industry. 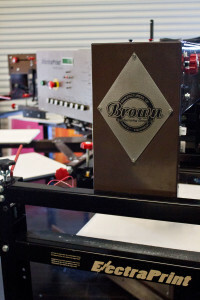 The Brown Electra Print 8 color 10 station press is the focal point of the production department. This all electric machine runs quieter and produces a much more consistent printing result as compared to conventional air driven systems. This unit features iMade software to allow operators the flexibility to setup printing in any order necessary to produce your custom product. Audible alarms notify operators of cycle ends and on board diagnostics allow easy setup of complex production runs. 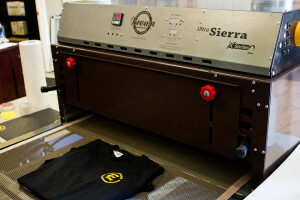 The system also utilizes a Sniper Lazer Load system to laser align each shirt, a Set-N-Go preregistration system reduces setup time and Quartz Air Flash unit speeds production. The system even has an iPod mounting system with internal speaker to allow operators the freedom of enjoying their favorite music during production. 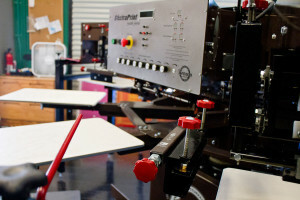 The technology to produce your custom printed products does not stop with the Electra Print automatic press. 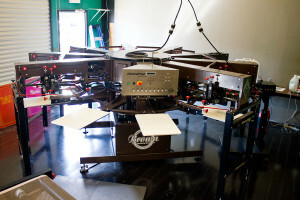 D&M Graphics also utilizes the Ultra Sierra X-Series conveyor oven. The Ultra Sierra is the ultimate in electric conveyor oven and has been the front runner in quality and reliability for decades. This conveyor oven provides very accurate temperatures to ensure perfect curing on a wide variety of materials from Silk to canvas. Digital temperature controls along with digital fan controls and belt speed combine to provide accuracy and dependability for the ultimate curing system. 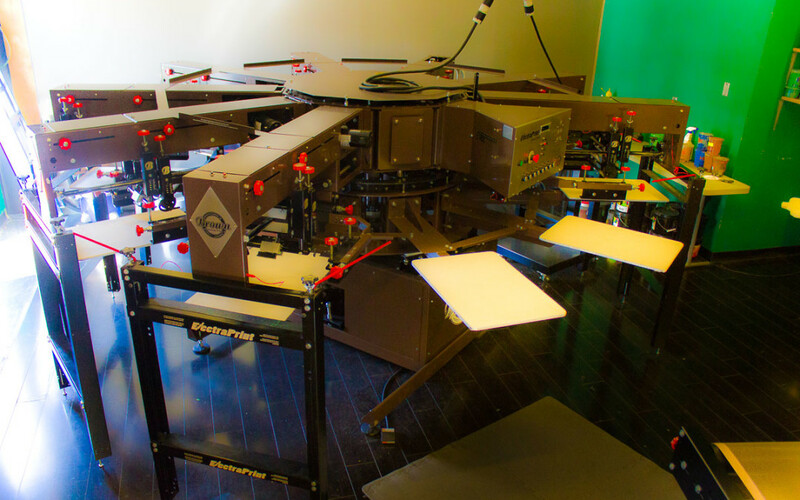 D&M Graphics also utilizes state of the art technology within the dark room to provide Art to Screen transfers that allow the production department to produce your custom designs just as you requested. 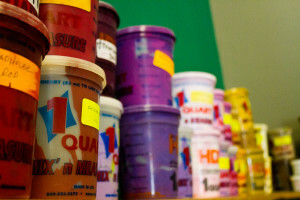 This process is just as important as the actual printing process and determines the quality of the end products. D&M Graphics utilities a Screen Dryer system to provide a light safe, dust free environment to quickly dry coated screens with filtered air. Then using a Vacuum Exposure unit to extract all air between the screen frame, film and glass the screen is exposed and your custom art work transferred for utilization in the production process. 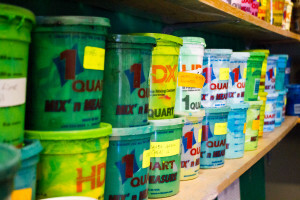 D&M graphics believes using the newest technology in the industry produces consistent, high quality products but we also understand there is a need for the tried and true manual process as well. We still incorporate a manual press in our production department for those jobs where the operator’s skilled touch is needed to achieve the desired outcome.